The company’s launch of MoviePass Films in June followed several releases from its previously existing distribution arm, MoviePass Ventures, which distributed the crime films “American Animals” and “Gotti” earlier this summer. 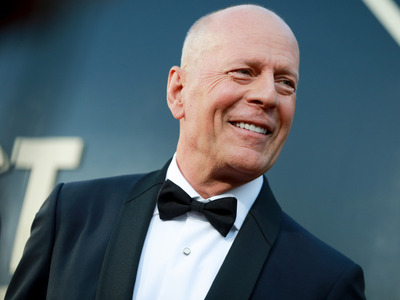 MoviePass’ film production subsidary, MoviePass Films, has announced that Bruce Willis will star in the company’s first original production, a crime thriller titled “10 Minutes Gone,” Deadline reports. Brian A. Miller, who also directed Willis in the upcoming action film “Reprisal,” will direct “10 Minutes Gone” from a script by Kelvin Mao and Jeff Jingle. MoviePass’ parent company, Helios and Matheson Analytics, launched MoviePass Films in partnership with production company Emmet Furla Oasis Films in May. The launch followed several releases from the company’s previously existing distribution arm, MoviePass Ventures, which distributed the crime films “American Animals” and “Gotti” earlier this summer, in partnership with The Orchard and Vertical Entertainment, respectively. “10 Minutes Gone” will be the first release from the company’s new production arm. The launch of MoviePass Films in June marked another attempt by Helios and Matheson to expand the MoviePass brand beyond the struggling movie subscription service it drastically remodeled this week, limiting subscribers to 3 movies per month from its previous one-movie-per-day plan.